Meet our Big Garbage Cleanup Project mascot Captain Conch. Thanks to everyone who participated in the creation of his theme song, Keep Isla Bonita Bonita. Help us get his message out and share, share, share!!! Save three hours of your time between November 9th through 12th to help make Isla Bonita #1 Again. We need YOU to help whether it is picking up garbage, cleaning up your yard, helping co-ordinate volunteers, helping at Central Park to get volunteers transported to the day's clean-up area, delivering drinks and snacks, helping sort or co-ordinate at the Transfer Station or transport items to the station. How will you contribute to this clean-up project? Wondering WHAT we are cleaning up? Here's the plan. The focus is on the collection of White Goods. However, NO garbage will be left behind in the collection areas. What are White Goods? Captain Conch provides the answers. 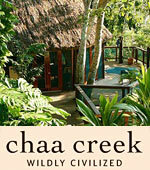 November 10th Target Areas: Boca del Rio, Lagoon Boca – San Juan and Lagoon San Juan - DFC. November 12th Target Area: San Mateo. Target areas are subject to change based on completion of the previous day. Please advise in the comments or by message, the size of your team and desired time frame of participation so that we have an idea of the number of volunteers for each day and can reserve your cleanup kit. Meetup Location will be Central Park throughout at any time and throughout each day. Captain Conch says: Thank you Ramon's Village Resort for your generous participation commitment for Monday, November 12th of a team of 10 workers and a truck for the full day. Don't forget to bring a reusable cup for refreshments that will be provided throughout the day. To register a team, individual, vehicle contribution, snack contribution, cart/driver for refreshment deliveries to volunteers for any three hour period over the four days of the project, you can call 226-2070. 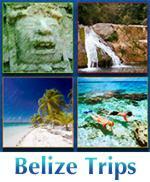 Thank you Belize Solid Waste Management Authority!!!! NOTE TO ISLANDERS! 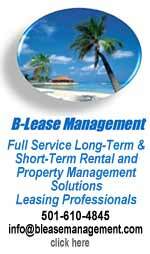 Here's your chance to clean out your yard and have it properly disposed of without cost!!!! Let's keep La Isla Bonita...BONITA!!! 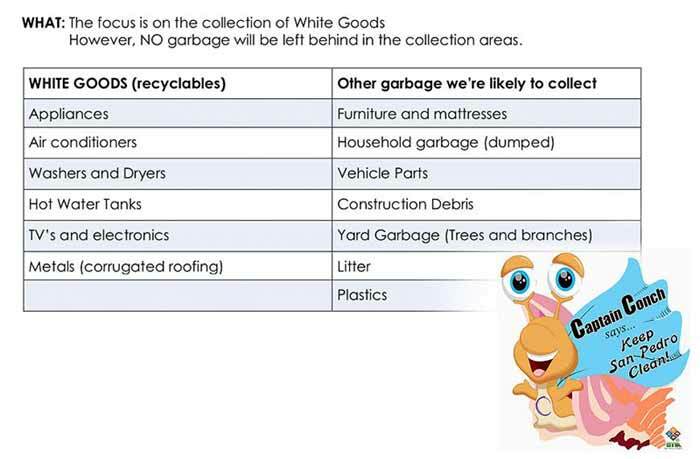 Belize Solid Waste Management has WAIVED garbage transfer station fees for all white goods and garbage delivered to the transfer station November 9th through 12th for this island clean up project. Captain Conch hopes with this fantastic news that every islander is inspired to join together in this effort to cleanup the island and help dispose of our garbage and unusable white goods (refrigerators, stoves, ac units, etc) properly. The San Pedro Chapter of the Belize Tourism Industry Association (SP BTIA) has announced a massive clean-up project that will take place from Friday, November 9th through Monday, November 12th. The initiative, dubbed ‘For the Love of San Pedro- Big Garbage Clean Up’ aims to engage the entire island community as they attempt to clean the subdivisions in San Pedro Town. 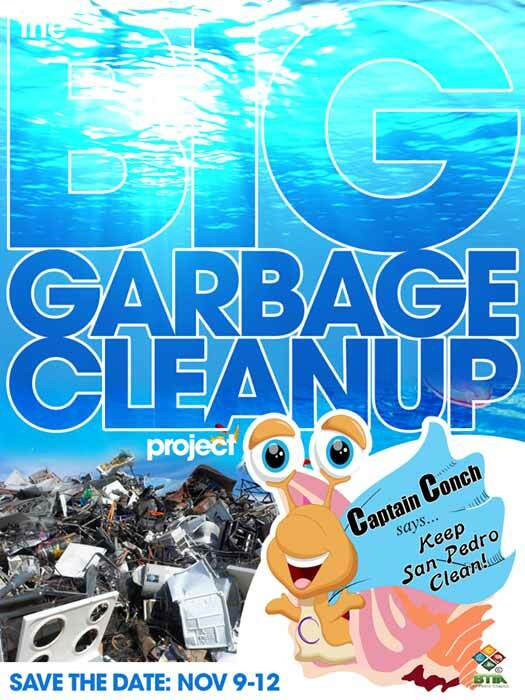 Launched along with the campaign is SP BTIA’s super-hero mascot Captain Conch who encourages islanders of all ages to “Keep San Pedro Clean.” Although the focus of the collection of garbage will be on “white goods” (refrigerators, air conditioners, washers, dryers, appliances), no trash will be left behind. Volunteers wishing to join this effort can sign up by calling 226-2070. You can choose to do an entire day or just a few hours during the clean-up campaign. Today we begin. Meet up at Central Park at 8am until 2pm each day. We will be arranging rides to the various sites as best we can on volunteers with carts and/or the number of taxi drivers that are volunteering at any given time. If you are volunteering and have a vehicle, stop at the park if you can help us transport any volunteers. Go to Central Park any time from 8am to 2 pm. They will drive workers to the site of the day/hour and bring them back to the park when their time is done. More drivers are needed to help transport people to locations especially at 8 am. Snacks and water will be provided to volunteers. Please bring a reusable cup. Hand sanitizer available at all the sites. Thanks to Belize Tourism Industry Association San Pedro Chapter, San Pedro Town Council, Oceana Belize and ACES American Crocodile Education Sanctuary for making the big garbage cleanup a priority. CLEAN UP going on NOW! Be part of the community participation TODAY. 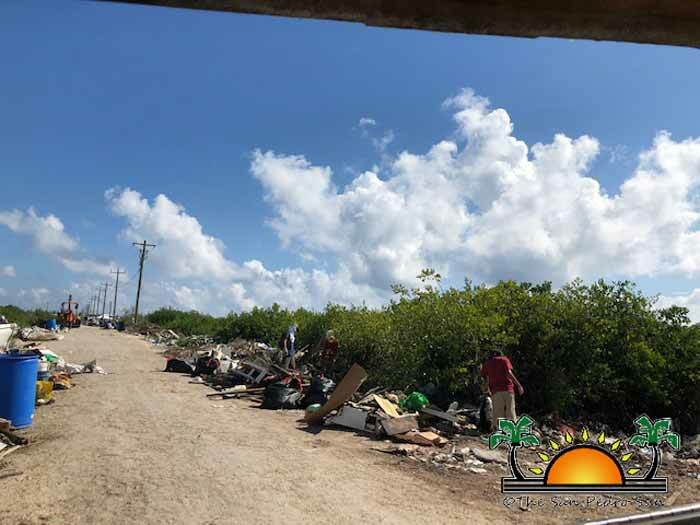 The Belize Tourism Industry Association has embarked in a four-day clean up campign for the entire island of Ambergris Caye. Sadly our little island is not so 'bonita' to say, there has been an increase of illegal dumping throughout the island, reducine the esthetics and charm of the natural environment. The BTIA, along with several business and stakeholders, have come together "For the Love of San Pedro" to clean up as much as possible to make our island beautiful once more. Different businesses and groupd have donated their time and employees to help with the clean up. Day one kicked off in the San Pedrito Area, where a massive clean up of the "San Pedrito Highway" is taking place. Friday's efforts are done. It happens all over again tomorrow, Sunday and Monday ... see you in Central Park @ 8am. Teams will be finishing the San Pedrito Highway tomorrow while other teams will start in Boca Del Rio - Lagoon side. Bring out a team or get your neighbours together and get your streets clean ... sort Fridges, Stoves, AC Units into separate piles from bagged garbage and construction materials... You can always message me when your street is ready for a truck(s) to come pickup. By the end of the day the unbearable stench of garbage was somehow stuck to Karen's cart and following us. Huge thank you to everyone who helped in one way or another towards the massive clean up on the west side of the air strip today. Especially the guys in the trenches, hours of hot, dirty, dangerous, work pulling garbage from swamp and loading the trucks. Island’s biggest clean up campaign underway: Help still needed! 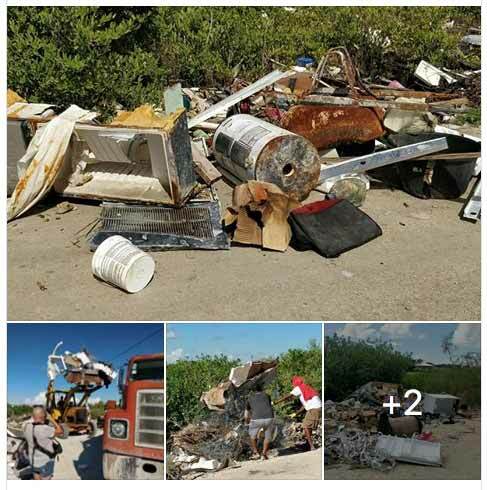 With only two days remaining in the San Pedro Chapter of the Belize Tourism Industry Association’s (SP BTIA) big cleanup campaign, more help is needed. The campaign kicked off on Friday, November 9th with energetic volunteers and workers tackling the island’s uncontrolled garbage problem. Since then over 700 bags and 40 truck loads of garbage have been collected from primarily the San Pedrito and Boca del Rio Areas. The cleanup campaign continues on Sunday, November 11th and Monday, Novemver 12th. Island residents are urged to come out and support this cause to get the island clean. 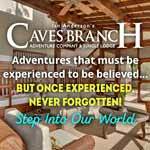 Only with the help of volunteers will this campaign be successful and Ambergris Caye return to being La Isla Bonita! 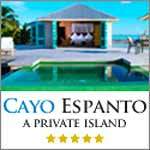 Please do your part to clean La Isla Bonita! We need trucks and volunteers! Show up at Central Park 8am Sunday and Monday or let us know how you can help! This has been my view for the last two days while volunteering at the big BTIA four day garbage clean up on Ambergris Caye, Belize. Isla Bonita is not so Bonita at the moment, and it’s heartbreaking. What’s being loaded on the truck in the one video is just a portion of the stuff collected yesterday from one section of the road. I lost count of the water heaters, refrigerators, and other large household appliances that were picked up. We have two more days, and we still need volunteers. For everyone who has complained and posted on FB about the trash issues, why not donate three hours of your time Sunday and/or Monday? I’m lucky to be overseeing a great team of hardworking guys at the transfer station who are sorting all the garbage that comes in, but they need help. 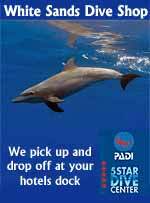 We need people to help pick up and transport garbage to the transfer station so they can get it ready to transfer to the mainland. If you are interested in helping, you can contact Tamara or better yet, show up to Central Park tomorrow (someone is there each day helping coordinate volunteers from 8 AM to around 1 PM on Sunday and 4 PM on Monday). Click photos for the videos and more pictures! 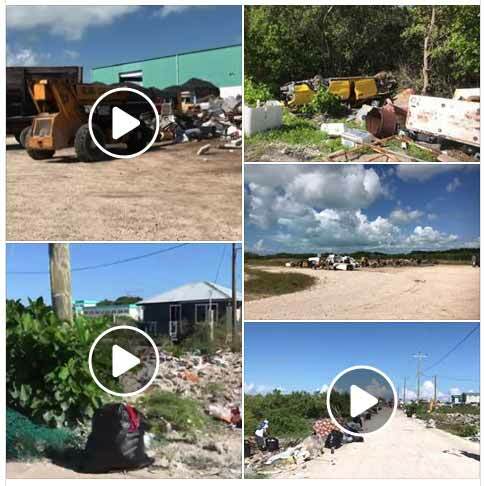 This video is Directors cut with the full massive four day clean up on Ambergris Caye organized by the Belize Tourism Industry Association San Pedro Chapter (BTIASP) with the assistance of American Crocodile Education Sanctuary (ACES) Oceana Belize and San Pedro Town Council. November 9th - 12 th 2018. After years of photographing garbage, I cannot even begin to express my gratitude to the BTIASP for taking on this project and giving me a safe platform to truly tell a large part of our heartbreaking story and ask for help. As you let the ambient music carry you through to the end of the video, think about how you can help. 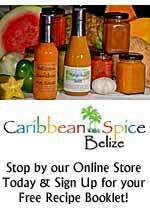 I will be setting up a comprehensive supplies shopping list asap and I have secured storage. 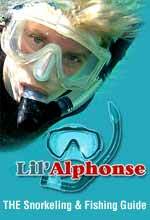 Warning this video includes some very disturbing bonus footage of Ambergris Caye. It is no surprise many of us are shellshocked after this experience. Alternating waves of sadness and tears followed by extreme joy that our community came together and made a huge difference to improving our epic environmental garbage crisis. In four days we accomplished a huge amount of moving years worth of aged foul-smelling trash from the San Pedro Highway airstrip area. It still needs major work to finish the job. Of the total amount to be done we cleaned up 10% or less of trash. The 13 other areas of the island that were scheduled to be cleaned up remain untouched. By the end of day Four, we had a lot of puzzle pieces as to how the situation got so bad. The BTIASP will be addressing the situation with local businesses and residents so we can all do better. 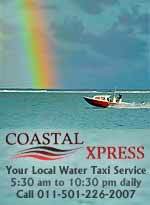 Our small island is full out in a catastrophic level garbage crisis and we need help, please reach out. Who is ready to lead the next Big Clean-up Campaign of 2019? 1 registered members (igwmzhdm), 38 guests, and 6 spiders.